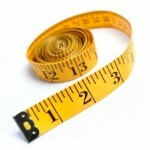 Measuring your social media success used to be a cumbersome process. You would need to track your own measurements across all platforms and then analyze them yourself in a spreadsheet. Of all the advice you’ll hear about social media marketing, tracking your progress to examine the return on your investment is a point everyone agrees on. It’s impossible to tell what is working for you and what isn’t when you don’t keep accurate measurements. Luckily, social media has become such a large part of the digital marketing landscape that several software companies have answered the call to help us track important metrics and estimate ROI. Does your company have a marketing budget? Is a portion of that budget earmarked for online marketing? Have you been actively engaged in a social media marketing campaign for your business? Have you started to see an increase in sales, or the potential for future success that can be directly attributed to your social media campaign? Is a social media presence required in your industry (such as hospitality)? Just because you aren’t spending money on social media doesn’t mean it’s not a good idea, but if you’ve used good judgment when figuring out how much to spend on your online marketing in the first place, you will have no problem deciding how much money you need to spend on tracking and analysis software. There have been so many entries in to this space lately that we’d spend all day listing them, but here are a few that have set themselves apart through peer recommendation and positive reviews. Webfluenz is a privately owned system designed for the real-time web and it’s one of the best social media platforms available for research, management and business intelligence. A team of dedicated professionals that includes designers, statisticians, engineers, marketing and market research professionals developed the sophisticated intelligence used by this system. These professionals are experts in the fields of Natural Language Processing, Data-Mining and Communications. 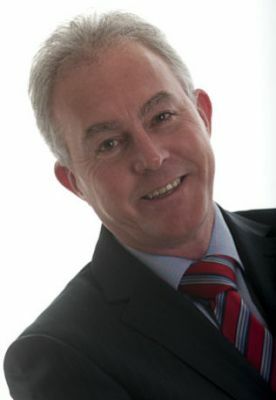 Webfluenz was first to become an industry standard. The price for this system varies from $89 to $4,299 a month. 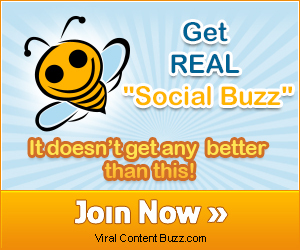 Buzz Numbers is a web-based full software service solution. You don’t need any special training to access this system and you can use it with any browser. You have instant access to the services and you don’t have to worry about IT or software costs. The Buzz Numbers team has recently developed an application that integrates with Microsoft SharePoint, integrating social media statistics and encounters into your company’s Intranet. The price for this software varies from $800 to $1,000 a month. Businesses searching for a way to track both online and offline marketing can greatly benefit from My Next Customer. 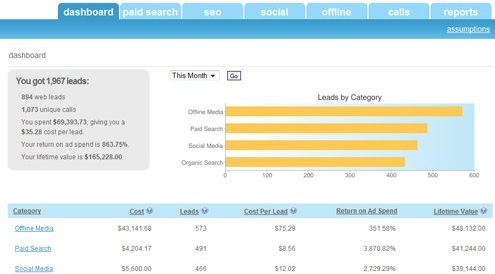 It calculates the return on ad spending and measures leads from Paid Searches, Social Media and SEO. You can save precious time on compiling reports from multiple sources and you can compare your marketing programs and results to help you lower your cost per acquisition. It integrates Google Analytics with phone calls and increases sales by getting your marketing and sales on the same page. My Next Customer helps marketers integrate online marketing with offline customer acquisition efforts. It’s also extremely efficient at visualizing data and generating reports. The price for My Next Customer varies from $49 to $999 a month. Trackur is a monitoring tool that can scan millions of web pages of all forms to track what others say about you online. It’s used as a social media and online reputation tool. It not only monitors your reputation but it also monitors your PR campaigns, news about your company or products, employees and competition. It can track the results for any keywords you use. Trackur takes tracking to a whole new level by deciphering customer sentiment in the process. This can greatly improve responsiveness for larger companies. The price for this tool varies from $18 to $377 a month. Social Report is a very powerful but flexible social network analytics that’s easy to use. It gives you a great insight into how effective your social space and marketing campaigns are by allowing you to see and analyze your data in a very unique way. It’s similar to a Google Analytics but it’s designed for Social Media. The price for Social Report varies from $9 to $79 a month. When you’re searching for a way to manage and expand your social presence more efficiently, Sprout Social may be exactly what you need. This web application can help you make loyal customers out of your online social connections. It allows you to integrate with Facebook Fan Pages, Twitter, Gowalla, Foursquare, LinkedIn and many other networks where companies and consumers can engage in business transactions. Some of the things incorporated into Sprout Social include communication tools, competitive insight, contact management, reporting, analytics and lead generation. Another great thing about this application is that it’s very easy to use. Don’t let Sprout Social’s relatively low price fool you; this tool is as comprehensive as they come. They offer a 30 day free trial to let you see for yourself. The price varies from $9 to $49 a month. Dedicating a large monthly payment to analytics software isn’t for everyone. If you own a small two person operation that is based on a contract to deliver copy paper to local schools, re-tweets and Facebook likes aren’t going to be that important – at least not for now. Here’s something for the people who don’t run a business managing social media accounts for other businesses to play with – for free! Social Mention is a free social media search and analysis platform that makes it easy to track in real-time and gauge what others are saying about you, your company, your products and more. It takes user generated content and combines it into a single stream of information. This social media search and analysis platform monitors YouTube, Facebook, FriendFeed, Digg, Google, Twitter and many more social media properties. Do you use any of these tracking tools? Which ones do you prefer and why? Is your favorite missing from the list? We want to hear from you, and hear about how you are tracking your social media successes! Nice wrap-up Lisa, just tweeted about it! I hadn’t heard of Webfluenz before but will be reaching out to them to learn more! 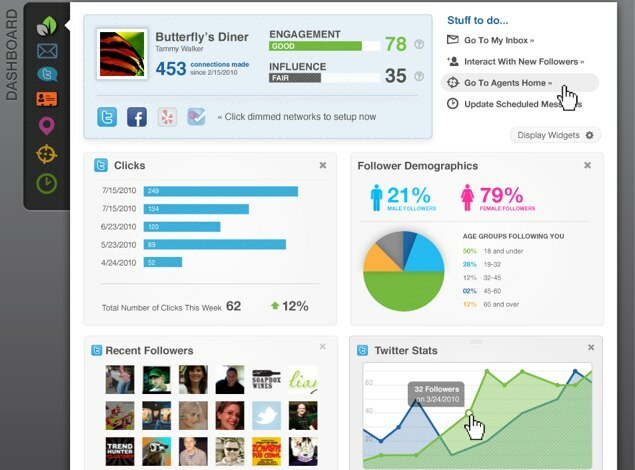 We at SocialChorus are big believers in the importance of additional analytics and ROI for brands using social media. We built an end to end solution to help brands and agencies manage and activate influencers at scale and track metrics like never before with real real time ROI. Would love to tell you more if you’re interested! If a business uses the Social Passport App (allows users to scan/tap for deals in return for an instant like, follow, checkin, or post) on the backend merchants are given all kinds of useful information. They get to see how many people scanned/tapped, how many people potentially saw a post, how many clicked on a link, as well as all sorts of other information gleaned from those social networks. This allows companies to cater deals to specific demographics. Thanks Lisa for this great overview. I’ve been using Sprout Social for a while, it’s very satisfying for a freelance user : not too expansive and however very professionnal. How would you compare it with social report (which I don’t know yet) ? Thanks for including Sprout Social in the list, Lisa! Just wanted to note that a lot has changed since our last update in November. We now have awesome team functionality, Zendesk integration, and more. We also offer more pricing tiers. Thanks again! Thanks for the Trackur love! Hmmm, I find it interesting that only two of the vendors chimed in. Are they not using their own products or should we surmise that their data isn’t picking up this conversation? They may just not be listening, or heard it loud & clear but see no reason to leave a mark. There is something that can be said for companies who practice what they preach, but there isn’t anything for the others to address if everything written here is truthful. Thanks for including Webfluenz in your list Lisa! We are pleased to announce that since the last time you had a look at Webfluenz, we have done some major upgrades including adding up to 24 languages, the ability to engage on multiple social networks using social profiles, run unlimited ad-hoc queries and much more. Would love to take you through it sometime. Let me know when you have the time! Thanks for including MyNextCustomer in your list Lisa! PS: we use Trackur and Sprout Social at MyNextCustomer too ! Lisa – I was trying to post a “thank you” for including MyNextCustomer but forgot I was using my wife’s computer and used Twitter authentication. And voila – I’ve impersonated my wife and made a social media rookie maneuver all in one click. Anyways, thanks again! I want to add that Webfluenz has introduced a free account that allows users to search unlimited keywords on social media, get analytics around these keywords, create alerts, post/schedule social updates across Twitter, Facebook and LinkedIn, view analytics, live feeds and more. There is also a 14-day free trial account of the complete offerings for a single keyword. Let me know if you wish to revisit us with a demo. Really cool list. But as a CEO I have to suggest our product – Sotrender. It works with Facebook, YouTube, Twitter and Instagram, collects most important data, allows you to track your and yours competition performance and generate clear reports customized to fit your needs.